Most Worcester Parkers are familiar with the Hamptons and most will know that some parts of the Hamptons don't look like the New England film set style that people tend to associate with the area, but were built as social housing. 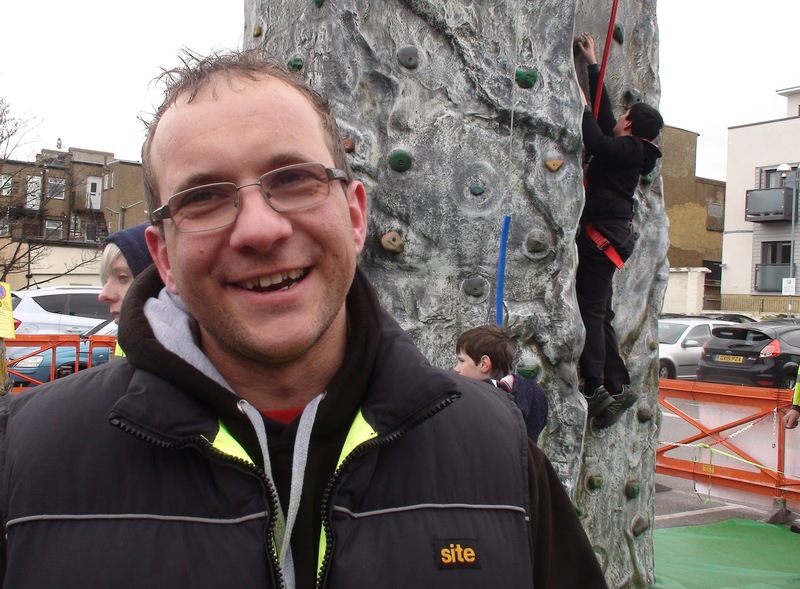 The Hamptons management, in conjunction with TVHA who run the social housing side have put together a plan to give something to one of these areas to help improve it for the local people there. The plan is to transform the green on Thames Avenue into a pleasant outdoor meeting area with seating and some landscaping. 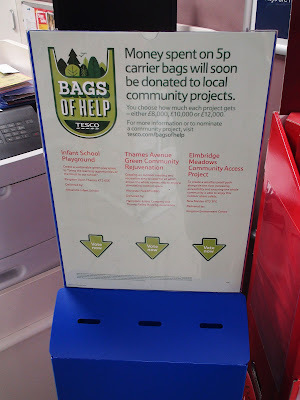 The plan was put to Tesco Express for consideration for their 'Bags Of Help' scheme which raises money for local community projects by people dropping a token in one of three slots (a bit like the Waitrose 'Community Matters' that many people would know quite well.) However instead of splitting the money proportionally based on the number of token each cause gets, the three causes are ranked by the number of tokens and the one with the highest number wins £12,000, the next one wins £10,000 and the third wins £8,000. 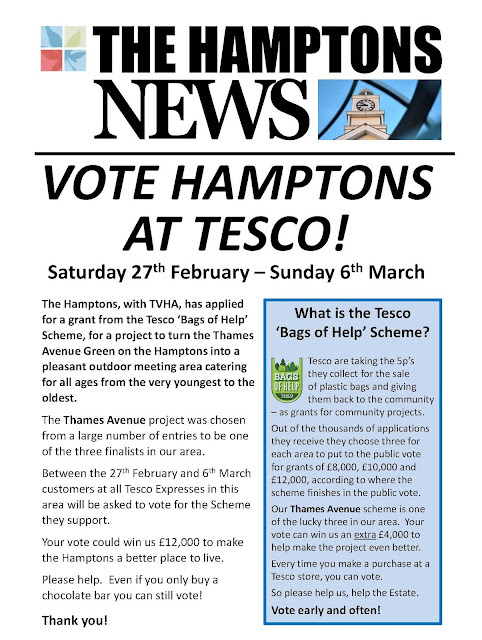 The Hamptons' proposal managed to get onto the list and so is in the running to win £12,000. 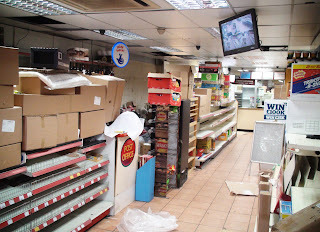 I popped into the Tesco Express opposite Plough Green yesterday (Saturday 27th February) and found their box near to the counter on the right. 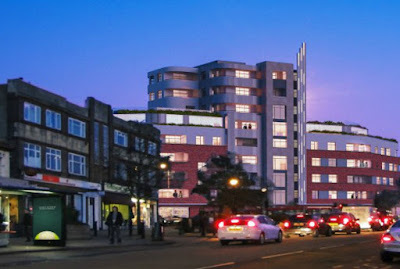 The Hamptons Scheme for Thames Avenue is the one in the middle called "Thames Avenue Green Community Rejuvenation". It wasn't immediately obvious as I was looking something that began with 'The Hamptons...' but there it is, eagerly awaiting the dropping in of your token... You can even get a token by just buying a chocolate bar. The opportunity only lasts until next Sunday (6th March) so every time you happen to be in (or even near) Tesco Express next week, please obtain a token and put it in the Thames Avenue slot to help improve the Thames Avenue area in the Hamptons. 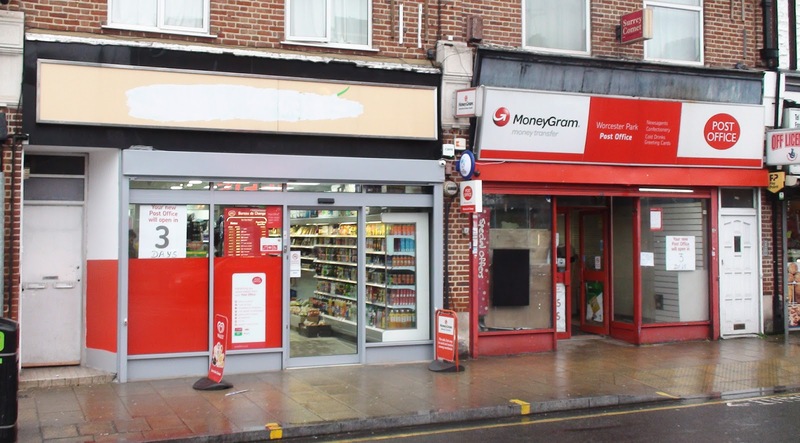 The scheme sees a number of stores in an overall area offering the same three projects so if you happen to be in a different Tesco Express store not too far away, check to see if they have the same projects on offers. 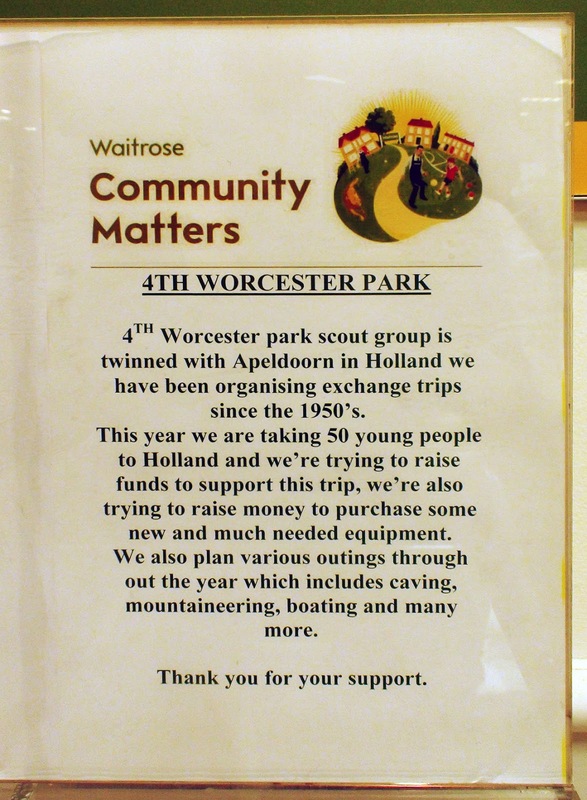 You never know, your token could be the one that adds an extra £2000 to the money helping people in Worcester Park. 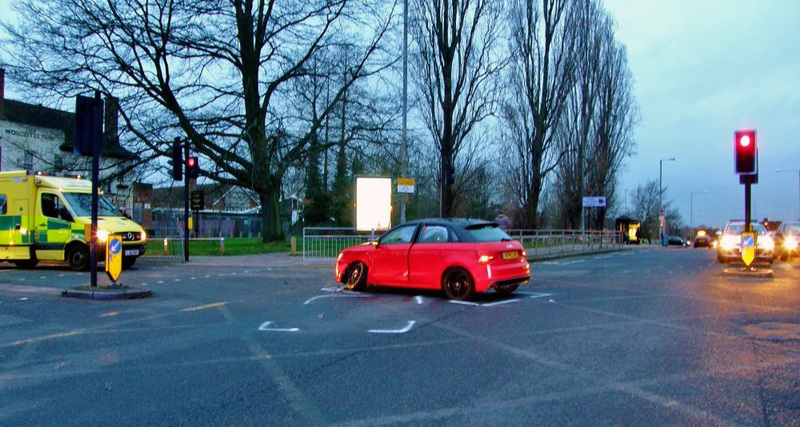 For those that noticed, London Road was closed at Sparrow Farm Road for around 10 minutes after an accident on Wednesday (24th February). 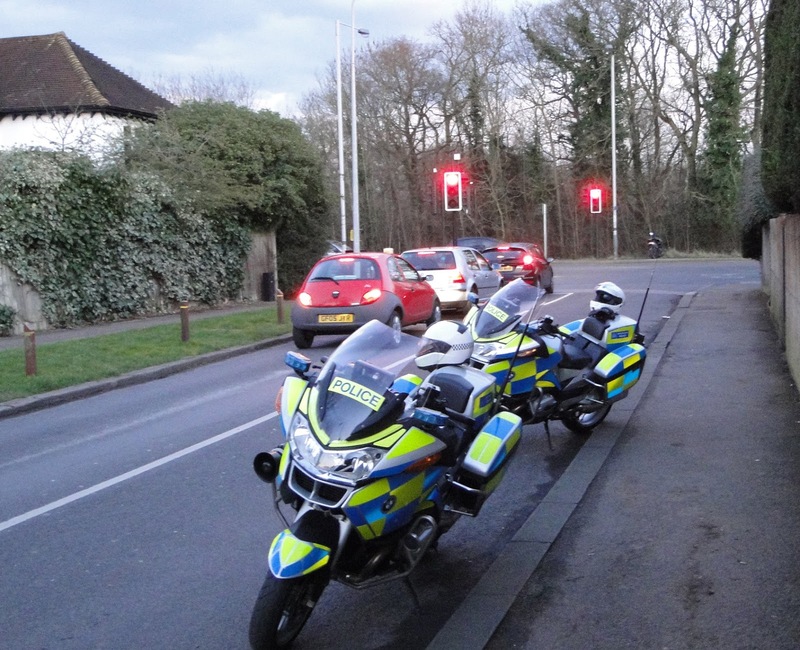 A van travelling south west towards Epsom hit a moped from behind when it stopped suddenly at the intersection at around 3:30pm. The van driver told the blog he didn't see the moped until it was too late as he had the sun in his eyes. "The police must have all been in the area because there were heaps of them here within minutes!" 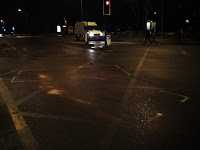 The police closed London Road and Sparrow Farm Road to traffic while the wreckage was moved but it was only around 10 minutes before it was opened up again. 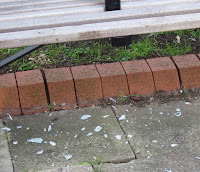 There was one minor injury and the blog wishes the injured party well for a speedy recovery. Since their opening on Thursday, Central Road has been treated to a new mini grocery shop - soon to become post office. 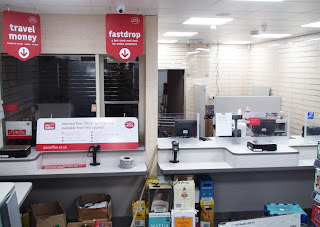 The new shop (on the left in the photo above) took over the old Prospects Recruitment premises and added a new section on at the back where the new Post Office counters are (See left). The new Post office was supposed to open last week as well but was held up by things not being quite ready yet. It will now be opening on Tuesday afternoon at 1pm. 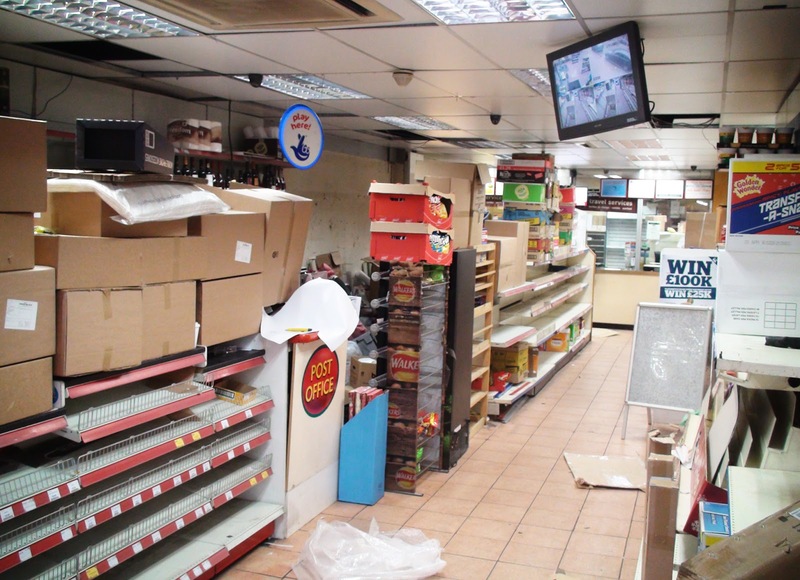 Meanwhile the shop next door - the old Post Office is in the final throes of closing down and clearing out. 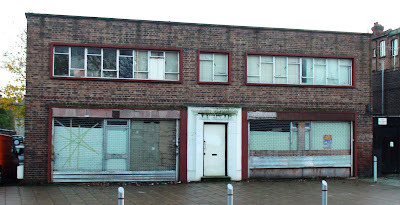 However it is still operating the post office facility at the back, even while the shop is in its current state (see right). The old Post Office will close for the last time on Monday, meaning there will be no Post Office facilities on Tuesday morning until the new one opens at 1pm. The new post office will be open from early in the morning until late at night - the same hours as the shop is open. Local resident Terry Aves had the honour of being the very first customer at the new counter. He was very pleased to tell us the news at the WPRA meeting last night and might get his face in the local paper! 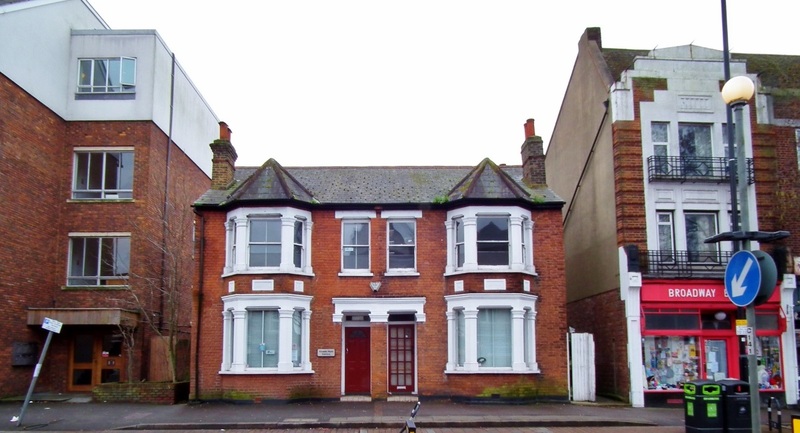 A full planning application was recently received by Sutton Council planning department, detailing plans to turn the building into 3 self-contained flats, or 5 if an additional floor extension could be added. 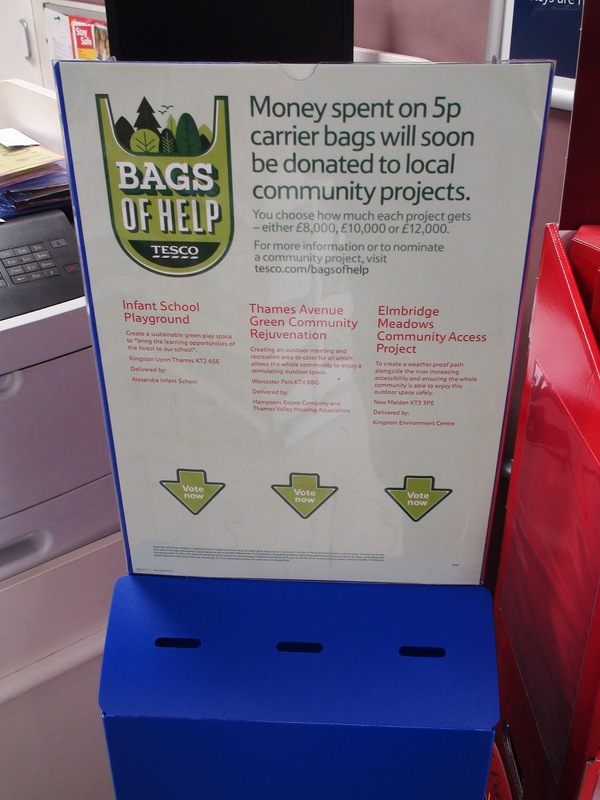 The application can be seen on the council website although not all documents are expected to be available there until next week. Thanks to Cllr Hookway for passing this information on to me. While this will be welcome news almost universally, it is an odd development for a building where the owners fought so hard to get something and then seem to want now to just let it go. Speculation has already begun that perhaps it's a ruse to build an extra floor and then revert to the Mosque application again in a larger building. 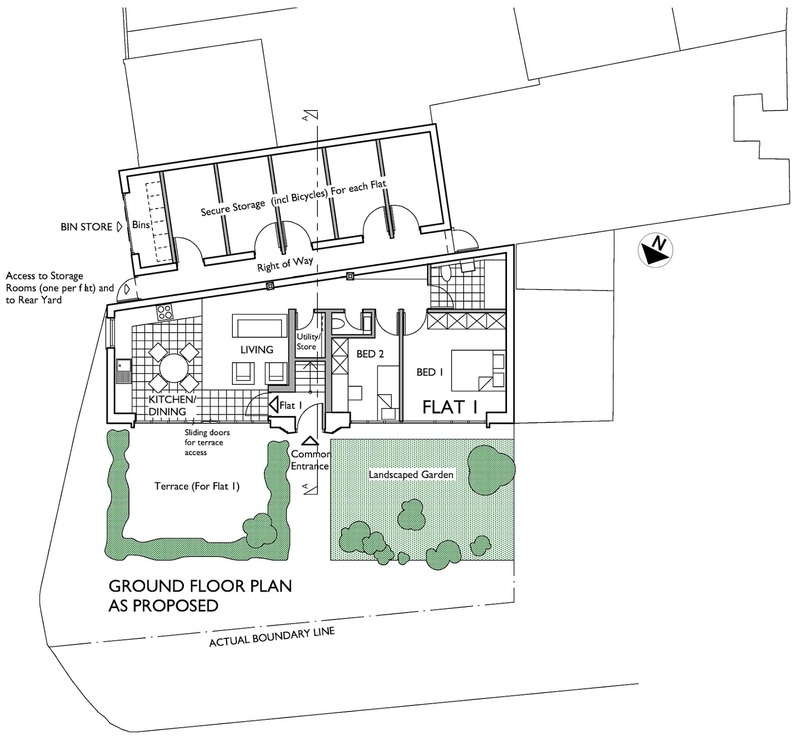 Of course the application which was allowed on appeal was for a limited number of worshippers due to the well known local traffic and parking problems on which the original objections were based, so it is unlikely that this is the case, given that a larger Mosque would create no real advantage for them. However given the mysterious recent history of this building, anyone could be forgiven for thinking that nothing can really be 'considered off the table'. 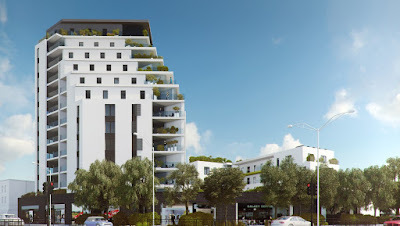 While we're on wild speculations, perhaps other are wondering if they had planned for flats all along and the whole Mosque proposal was just a ruse to soften up the community so that when they finally proposed a three story block of flats we all throw our hands up and yell yes please, yes please! 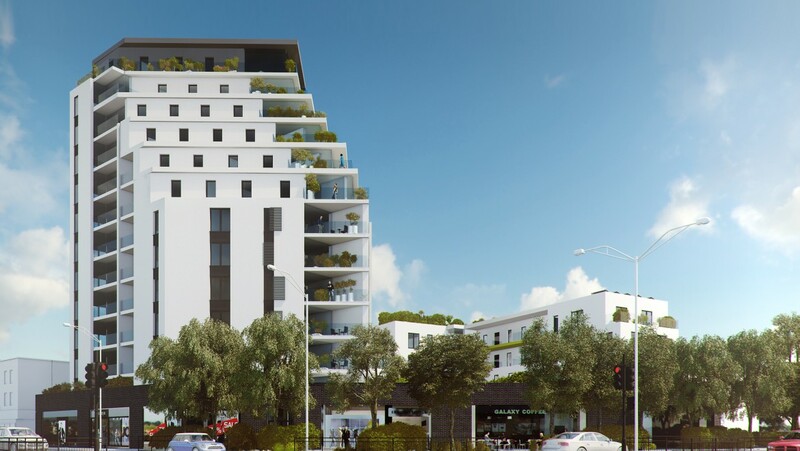 It has also been noted that the plans do not seem to include any provision for car parking so that if any of the new flat owners have cars, they will be parked in the street nearby. So this still isn't an ideal plan. Of course many people in London don't have cars and if it so happens that if this goes ahead, all the new occupants also don't have cars, it would work out rather well. But there can never be any guarantee of that. 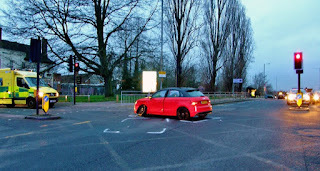 As was pointed out during the Mosque appeal, Worcester Park may have good transport links, but some places are still reached far more easily by private vehicle. Public transport is only good when both the start point and the destination are served by good, interlinked transport links. The applicant in this case is a Mr Danish Hanif, so not the original Mosque applicant. 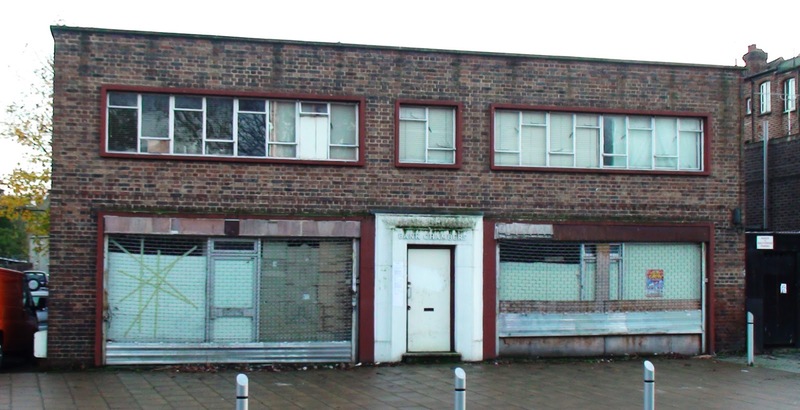 Perhaps the building was quietly sold? Either way I think few would disagree that out of the present alternatives, this is easily the most favourable one for the community. 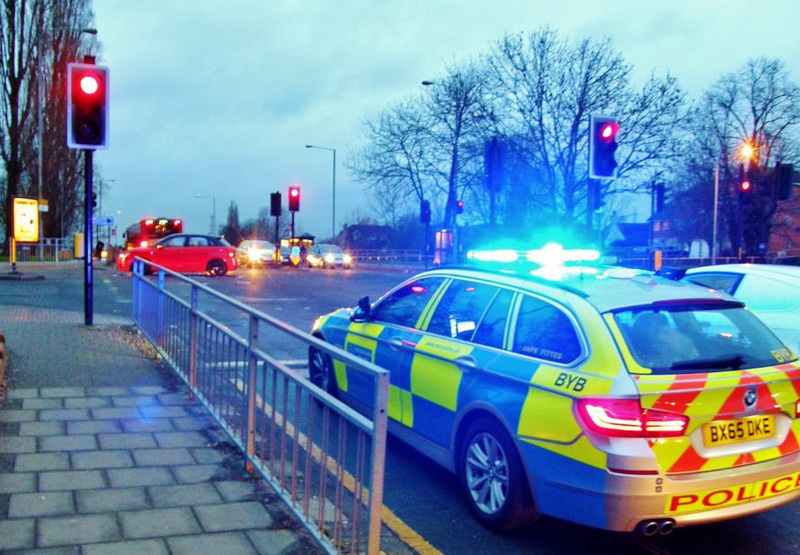 An intruder in Victoria House nearly injured a passer-by this afternoon after they threw an object through a top floor window narrowly missing a pedestrian below as he waited at the traffic lights to cross the London Road. 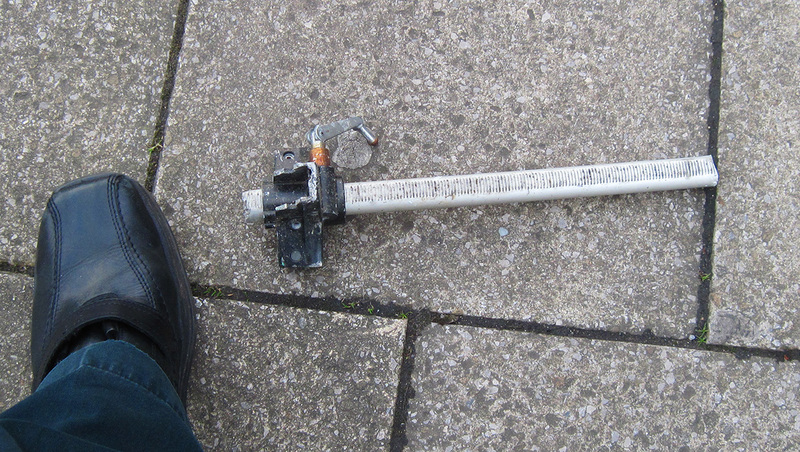 The object (left) is about 30cm long, weighs about half a kilogram and is thought to be a window opener. 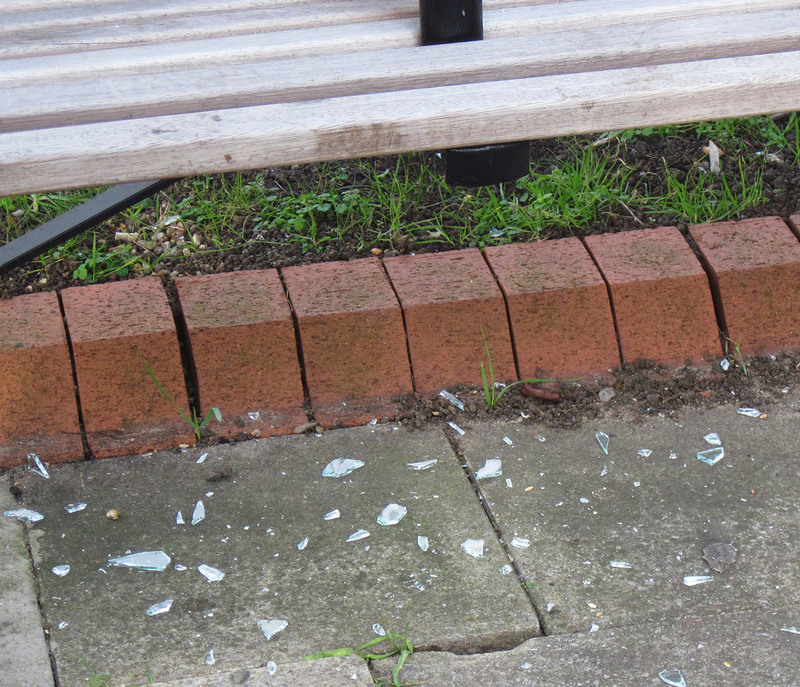 The glass from the smashed window showered the pavement near the wooden seat in front of the derelict building. Shortly before the item was thrown, a person wearing a blue or black hooded jacket, who appeared to be adult because of their height, was seen through the window on the upper floor. The Police were called, interviewed the pedestrian and walked around the building but the blog understands they didn't enter the premises or make any arrests. 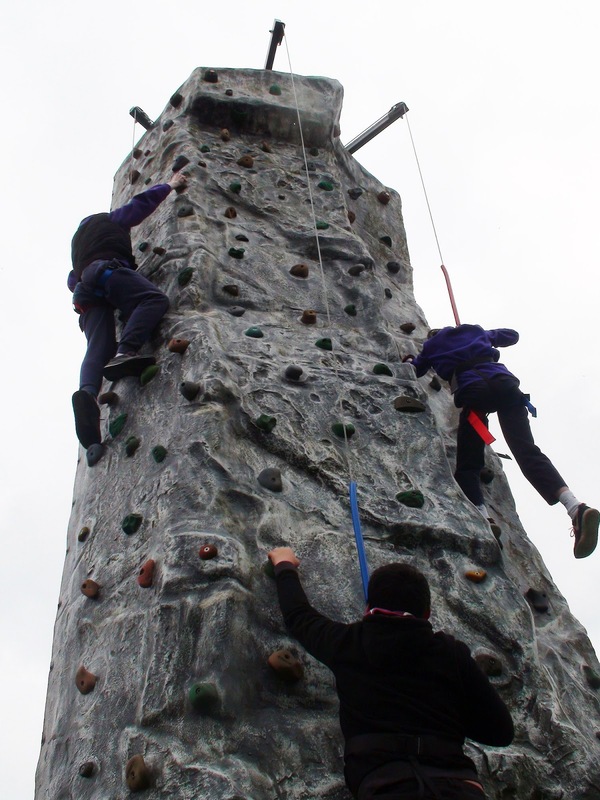 The picture at the top was taken at the weekend and shows the in tact window circled. The picture on the right taken today shows the same window now smashed. It looks as if the intruders are getting in and out down the alleyway between the Favourite Chicken shop and where Ladbrokes used to be. 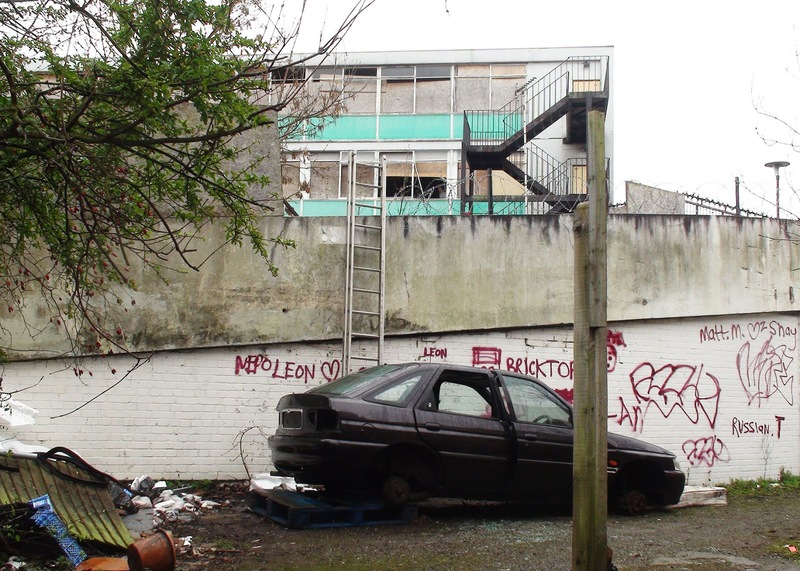 Alan Plant, chair of the local Chapra residents association (Church Hill, Abbots, Priory Residents' Association) of which Church Hill Road runs along the back of Victoria House, had recently alerted the area's councillors and the police to the section of razor wire which had been cut and removed at the top of the wall here (behind the dumped car and other rubbish). At the time there was no ladder there, but when I went to take a look at the weekend, the ladder had been placed conveniently against the wall there. 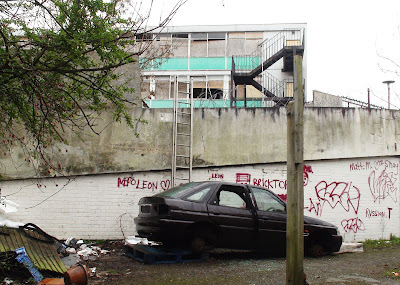 There is only a short drop on the other side to the vehicle ramp into the building. "Does someone need to get killed or seriously injured before you do something to rectify your security issues. Clearly there is no alarm or detection within the raised accommodation block or the response would have been actioned by yourselves and not the local public." 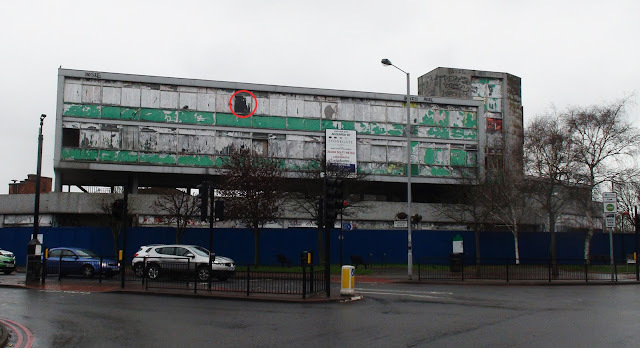 Victoria House continues to exist, against the wishes of most members of the public, having been subject to several false starts when it looked as if it was going to be knocked down and replaced with something else. A couple of years ago it looked as if the then owners, Stonegate Homes were going to replace it with this not unreasonable design on the left here. By most people's standards it was a great deal better than what is currently there, and at the ends of the day, no one is going to build anything unless they have a good chance of making some money by doing so. 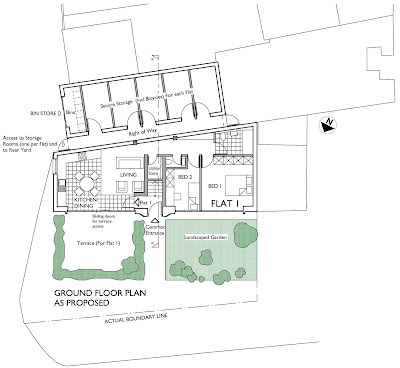 That was all scuppered when, after receiving planning permission for this design, Stonegate sold the property to Home Group, the current owners. 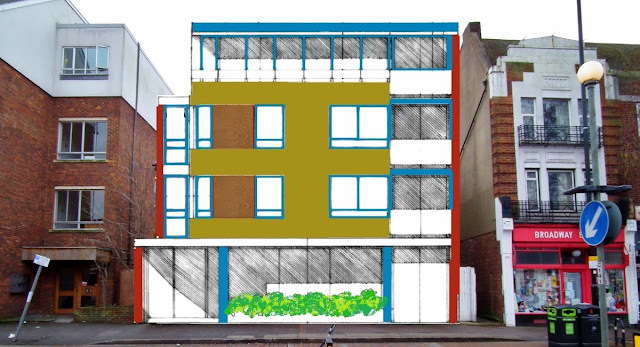 Home Group asked a number of agencies to submit new plans for a replacement building and selected one from Collective Architecture that local people could agree on. Unfortunately what they seem to agreed on was that this new design is awful and that the previous Stonegate plan was much better. 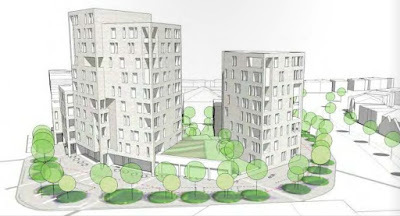 The new design, revealed early last year (here on the right) is effectively three tower blocks. They said they wanted a gap to let the sunshine through but that means stark tower blocks instead of a more gently rising affair. In a recent comment, blog reader Martin drew my attention to an interesting alternative design for Victoria House which made me realise that Home Group hadn't even selected the best design out of the ones they had been given. This design on the left from ECD Architects is certainly a superior design to the 'three towers' one currently being foisted upon us. 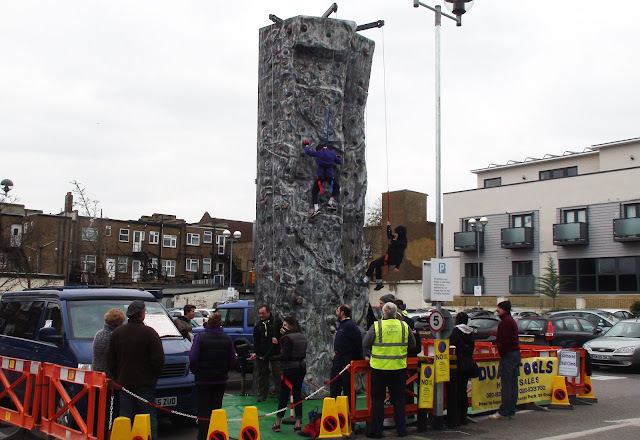 I still prefer the Stonegate one but at least this one is better than the eyesore that is currently there. The same can't fully be said for the North Cheam towers design. 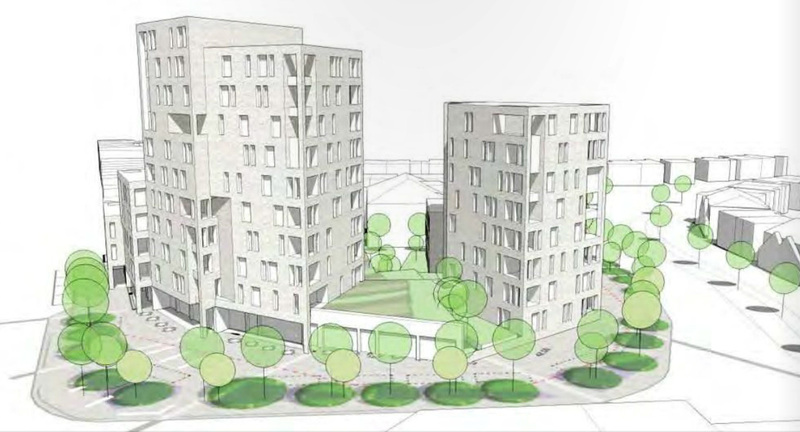 "I think the ECD architects proposal does look a lot better than the previous one from Home Group (and the Stonegate 'approved' plans before that), especially if all the trees and greenery is actually included and maintained into maturity over the long term and not just for the initial artist impressions. The tower section as shown at 12 floors is far too tall and overpowering for North Cheam crossroads but the later report from Paul Scully that I linked too on the blog does say Home Group have since reduced the height to a max of 10 storeys after the public consultation.....so lets hope they get on with it and demolish the existing eyesore ASAP!" One thing is for sure - they certainly need to get their security sorted out on the existing site ASAP. For those wanting to know about all the emergency services around The Manor Drive near Avondale Avenue and Manor Way this morning, apparently there was a nasty accident bringing two fire engines, two ambulances and several police vehicles to the area at around 11am. The Air Ambulance was also needed and landed on the Parochial School's playing field. It seems a wall had collapsed in a house that builders were working on and somebody underneath was crushed. 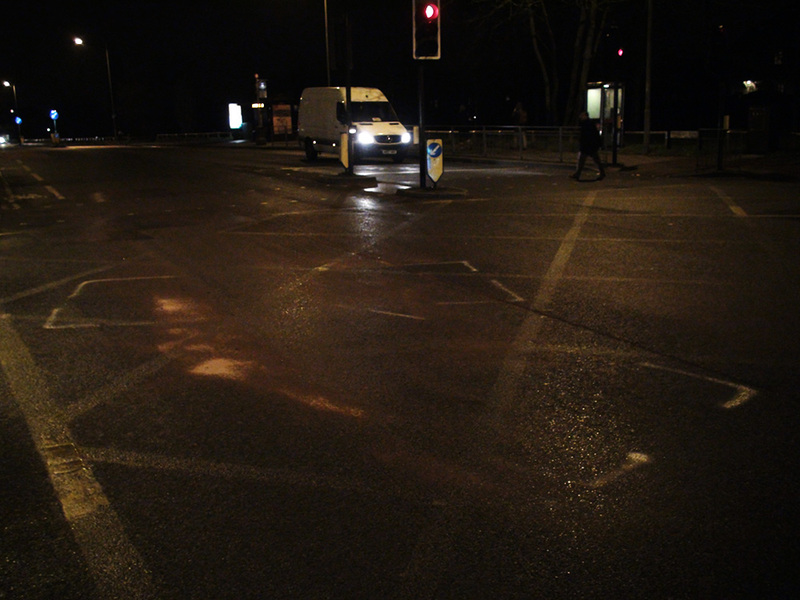 Extent of injuries are not know as yet but it is hoped that the victim (and patient) will have been helped by the timely arrival of all the emergency vehicles. The blog wishes them a speedy recovery. 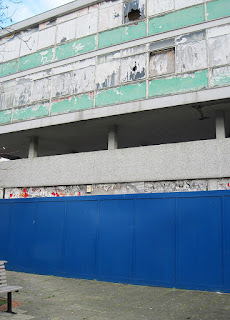 The blog is sad to report that the man crushed under the wall died from his injuries a week later. 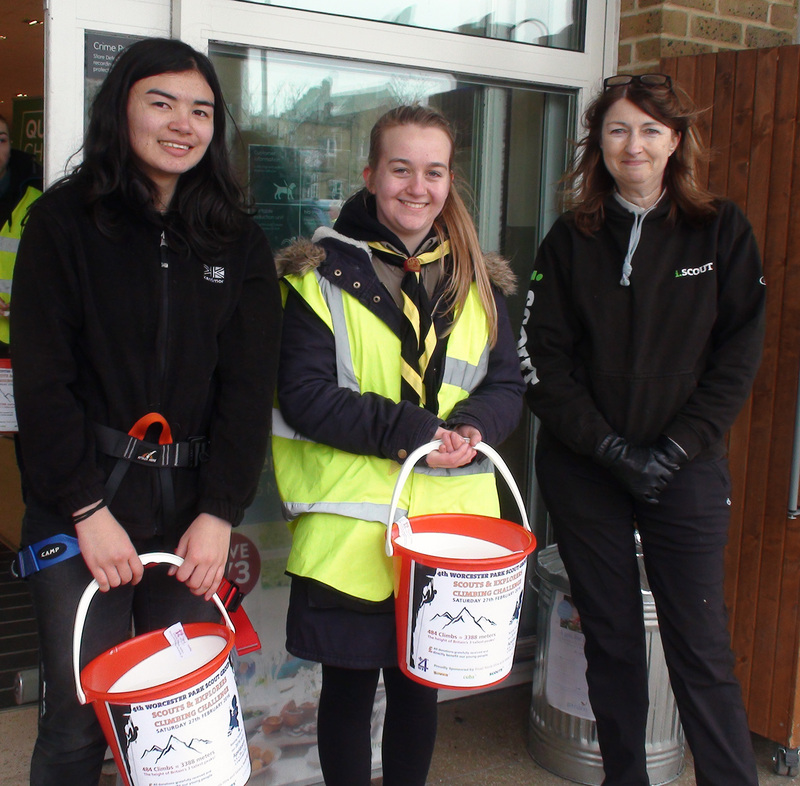 For more details please see the local Guardian report. Have you lost your snake? 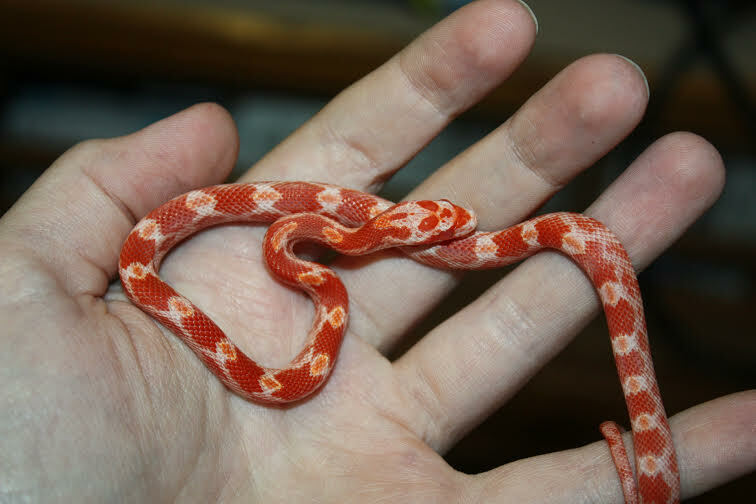 Blog reader Renuka contacted me earlier today about the small colourful snake she found in Mortimer Crescent (off Grafton Road at the end of The Avenue) while on a run this morning. "It is about the same size but with more white parts and the orange is paler. From what I can gauge from the internet, it is a baby corn snake that has probably hatched within the last few weeks . It is also very cute, and probably hungry. It does not seem to be too interested in dog food and I will not feed it small dead mammals." So if you appear to have misplaced your snake, please make contact so we can help reunite you. 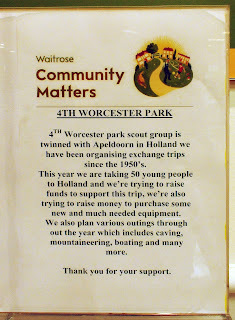 I often get mail from people who are looking to promote something in Worcester. I guess they've done a search for Worcester Blogs or some such thing and put all the results in a database for mass emailings later on. I wondered if you may be able to help me spread the word about a new BBC living history series in the Worcester area. We are hoping to find participants to take part in an experiment where modern day people will live for 3 weeks as Victorians did in 1870. 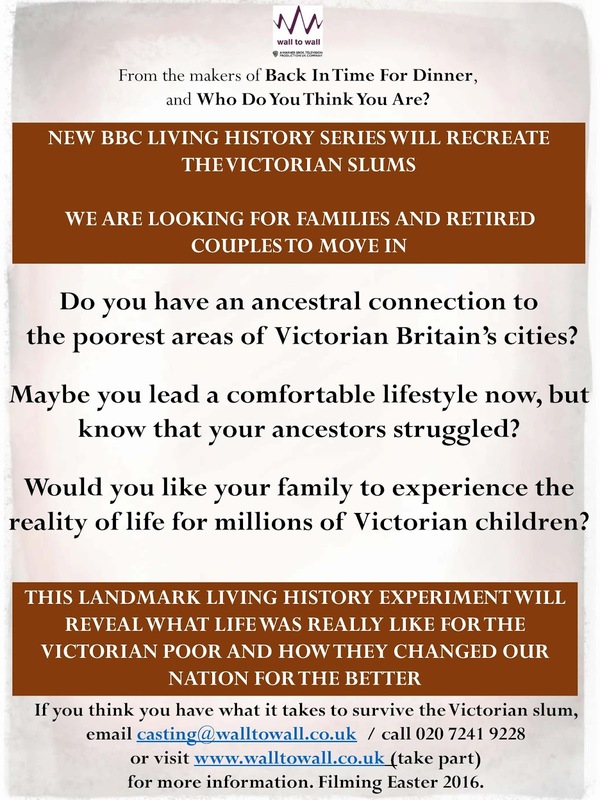 Ideally, we would like to find families and couples whose ancestors may have struggled living in the poorest areas of Victorian Britain, who now lead a comfortable lifestyle and would like to take advantage of this unique opportunity. Given the nature of your website, The Worcester Park Blog, I wondered if you may have a mailing list of contacts or businesses in the area that you could pass some details along to?" 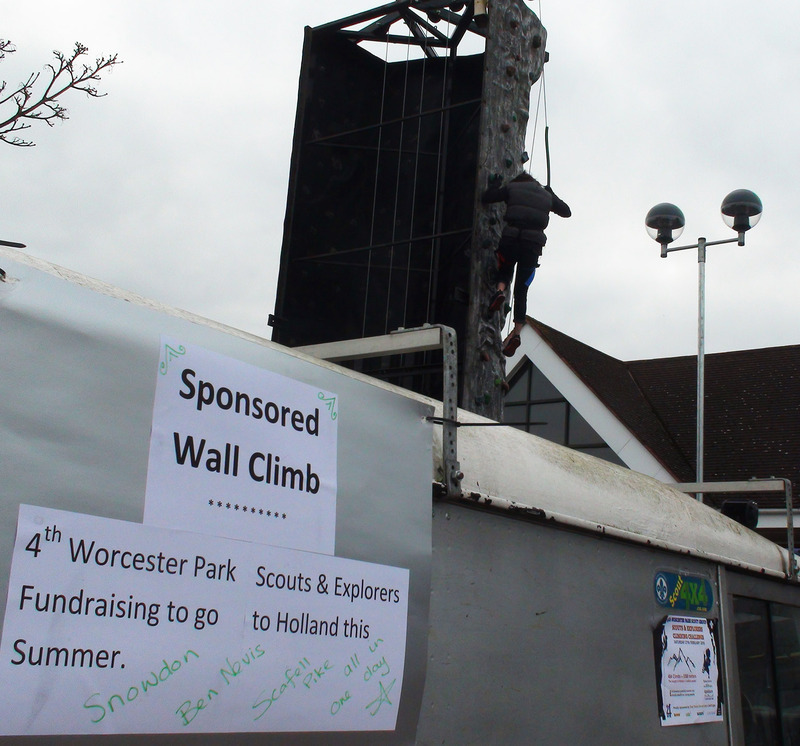 Worcester Park in on the London/Surrey border and nowhere near Worcester. 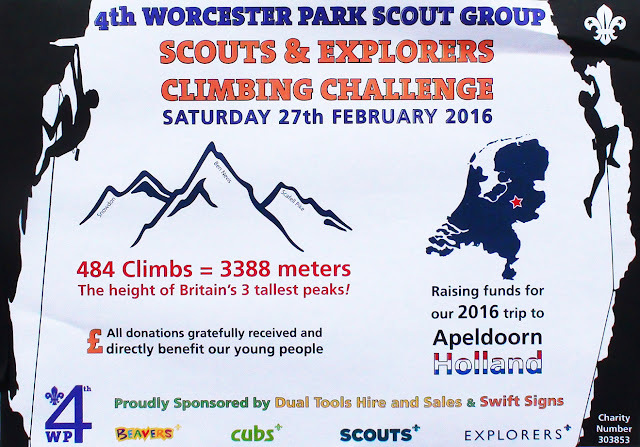 If you wanted to change it to the Worcester Park area I'd be happy to help. Surprisingly she replied back saying they "would be very interested in spreading the word around the London and Surrey areas. 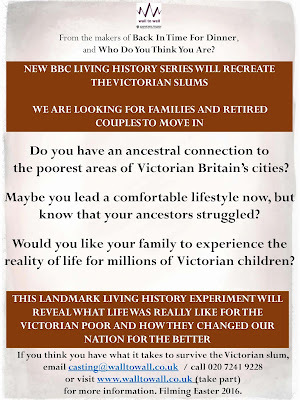 We are hoping to find people who have a connection to the East End of London or whose ancestors may have struggled in some of the poorer parts of Victorian Britain." And so dear reader, an opportunity beckons for all those frustrated celebrities who wouldn't mind living like their ancestors did in the Victorian Slums. (They could set it in Victoria House - appropriately our very own slum!) Please see the poster here for more details - click on it for a larger version. You can also visit the Wall To Wall (production company) website, email them or phone them on 0207 241 9228 if you are interested.